I recently completed a yearlong personal vision cohort with Will Mancini and about 12 other pastors from across North America. This was a very rewarding experience that taught be a lot of new things about how God has made me and what I want or need to do when I grow up. During a recent visit to Houston, TX, to meet up with Will and some of the other guys, I was very motivated and deeply affected by a description that I heard about the Psalms. I remember Will talking about how the Psalms capture so much human emotion and how the writings of men and their real experiences honor God. I’ve been thinking, because God has “breathed” life into the Holy Scriptures it validates our human emotions and we are able to direct our everyday frustrations and longings in ways that are worshipful. It was so refreshing to hear that our emotions, which are a gift from God, can be revealed by the Psalmist and as they are read or sung they give reverence to our Heavenly Father! The deeper image and message is that Jesus felt the same emotions when he was on earth. We know that he has experienced everything possible when he carried our sins on the cross. The real power of the Psalms is how they point to the person of Jesus and his shared experiences with you and me. Read Hebrews 2:14-15. 14 Since, therefore, the children share flesh and blood, he himself likewise shared the same things, so that through death he might destroy the one who has the power of death, that is, the devil, 15 and free those who all their lives were held in slavery by the fear of death. So today, as you feel emotions ranging from joy to sorrow, remember that Jesus has experienced that too. Read the Psalms and be encouraged that you are not alone, that God wants to hear you cry out to him, he wants to answer and show you his amazing power. He is real. He is the real thing. 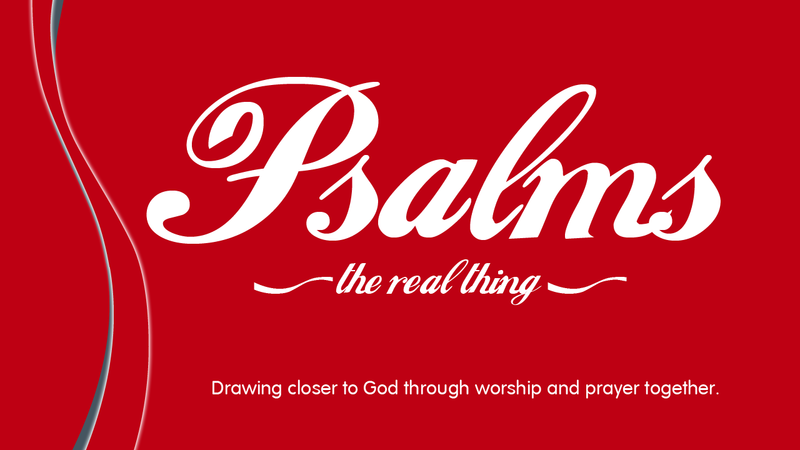 Mercy Road is spending time in the Psalms over the next several weeks. Join us every Sunday morning at The Gathering to learn more.